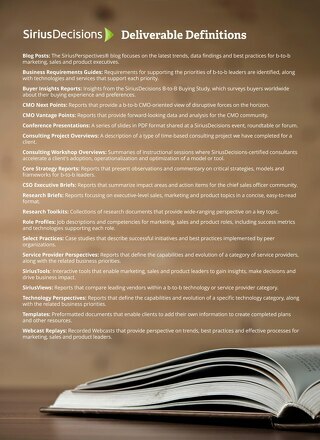 Increase efficiency and drive revenue with improved competencies. 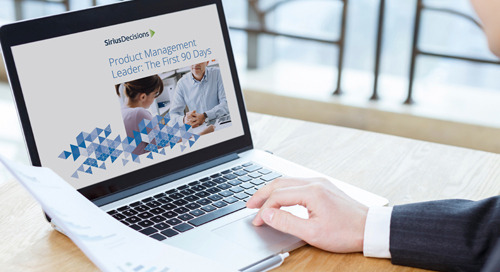 Realize the additional value that can be gained by improving product management competencies. Lower the risks during product launch with thorough concept testing. Demonstrate progress and ease the transition into your new role. 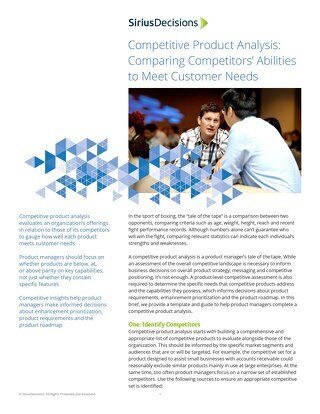 Learn a recommended approach for more useful and impactful competitive product analysis. Learn more about what has changed for suppliers moving an offering from on-premise to software as a service (SaaS), how these changes affect pricing and packaging, and how to address these changes. Acquire a deep understanding of your buyers, customers and users. Increase the likelihood of product success with the PMM Model. 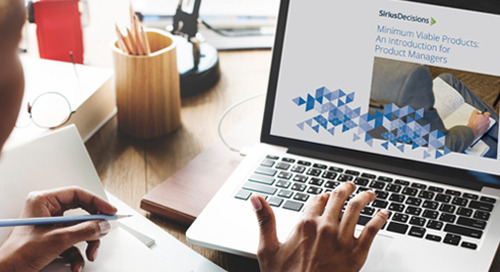 Review the findings of a recent SiriusDecisions capability gap analysis on b-to-b go-to-market processes. Review the performance of current products and adjust investments accordingly. Develop a product management function that will grow and succeed.